It's been one crazy week at work, but I finally have holidays, I have done a lot of good hing ( like finished my personal statement) and tomorrow I'm going to Christmas ball at my old high school. All seems great.....except that Christmas is so soon and I still haven't got present for my family and friends....and it's a big stress I will say. I'm really proud that I found one thing I wanted and it's a part of my gift for my sister. 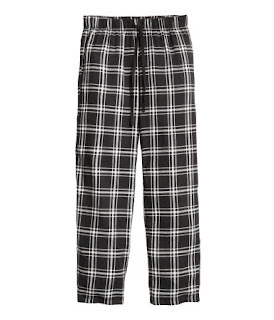 Earlier this year she said she wants to have some nice pajama or at least just the bottoms. She gave me similar ones last year on Christmas, so I thought it would be funny to give her ones too. 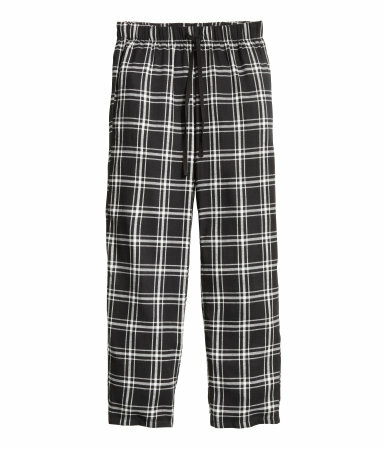 I found these one in H&M and the best part? They were on sale. Not like money is a big part at the Christmas time, but still feels nice to get something much cheaper than it actually is. Now let's move to my mum's presents. The first funny thing happened already some months ago. I clearly remember telling her that I need a new wallet for Christmas because my old one broke. She said no problem all will be done. One day I come home from work and my mum tells me that she got a Christmas present for me and she was like - I'm absolutely not telling or showing you what it is. I was totally okay with it, because I love surprises on a Christmas day. After 20 minutes she came with something behind her back and with a dorky smile. She gave me the wallet - Annie, sorry, but I really wanted to give it to you. So I got my fist Christmas gift at November already. Yay. But I still have another funny story with my mum. So I thought that my mum this year deserves something really awesome and something only she can use. My first idea was to get good perfumes, but I know that she will put them in place where everyone can use. So then I thought about some SPA. We here have those ''Present services' where you can buy things like that. But I wasn't sure so I asked my mum. -Mum, if you would get a present who would be only for you and you would need to use it in a specific period of time...would you like it? -Annie, I will not go to spa. So basically. I have no idea what I should get for my mum. Also I have no idea what to get to my brother. 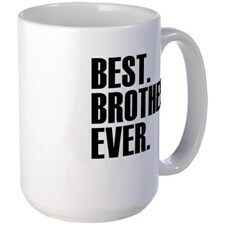 One year I bought him a mug that said - best brother in the world. He really liked it. Maybe this year I could get him another one...to remind him that he still is?! I have no idea why it's so problematic for me to buy Christmas gifts this year.....It's not like i have no ideas, it's more like nothing catches my eyes. Only people who I have good ideas and I have seen what I will get are Laima, Anna and Aneta, but I can't say it here, because they are going to read this and it will run everything.But I know for sure that they will love it, because me as being the awesome friend I am asked all of them what they would like, so I can buy them what they want and add something else unexpected and surprise them. I honesty don't know why I thought that having my own money will make everything easy (Last years I was saving money to buy presents) but it comes with even more problems than last year....I think it really is true..when you get older, you really don't see the point on buying many weird things...you want to give something from heart to heart. Something that people who gets it will always thinks of you. Let's all hope that at the end I will have gifts for everyone. I know that Christmas is not all bout presents,but let's admit that seeing the smile on people faces when they unwrap their gifts is worth millions. And honestly it's enough for me to be happy.